I recorded this series thinking that I might not really enjoy it all that much. But the IMDB rating was 8.5 out of 10. So I began watching. 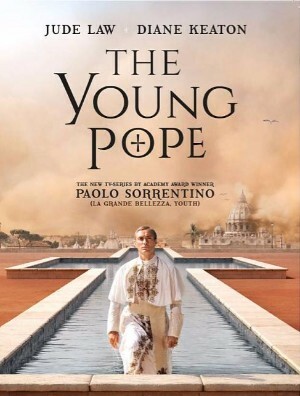 I thought it to be an interesting take on the Papacy and religious power structures. The series was typical for HBO. A bit racy. F bombs. Yet the characters were complex. The plot was interesting. The acting was pretty good. Power and position can change people. Not all are ready for power. People are complex. I loved the way that this young pope danced between doubt and belief. And how he seemed to grow into the role of pope. Woundings from our childhood can follow us into our adult life. Lenny, the young pope, was troubled by his abandonment by his parents. This gave him empathy for children and judgment for those who hurt children. Leaders react differently towards a new boss. It was interesting to see how the various cardinals reacted toward Lenny. Some conspired against him but were humbled by Lenny's piety and love for God. Miracles come through the prayers of wounded people. I loved that Lenny prayed even when he doubted. Lenny was someone that I really did not want to like. The more I got to 'know' him the more I understood who he was and eventually gained an appreciation for him and how he fought his 'demons'. 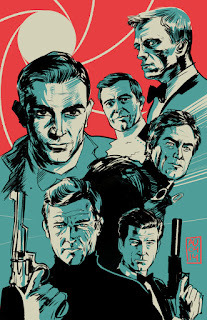 Jude Law did a great job in title role. He made Lenny a believable young pope. I thought that the series had a pretty weird ending. It felt contrived and pretty unbelievable. Not sure that this is a series for everyone. Even so. I liked it and, on a scale of ten, give it ★★★★★★★☆☆☆. I started watching it, got to through episode 5 and started losing interest. I do think it moved slow Debby. We almost stopped watching a few times.